Disney’s Polynesian Village is one of two original hotels that opened with the Magic Kingdom on October 1, 1971 (the other was Disney’s Contemporary Resort). 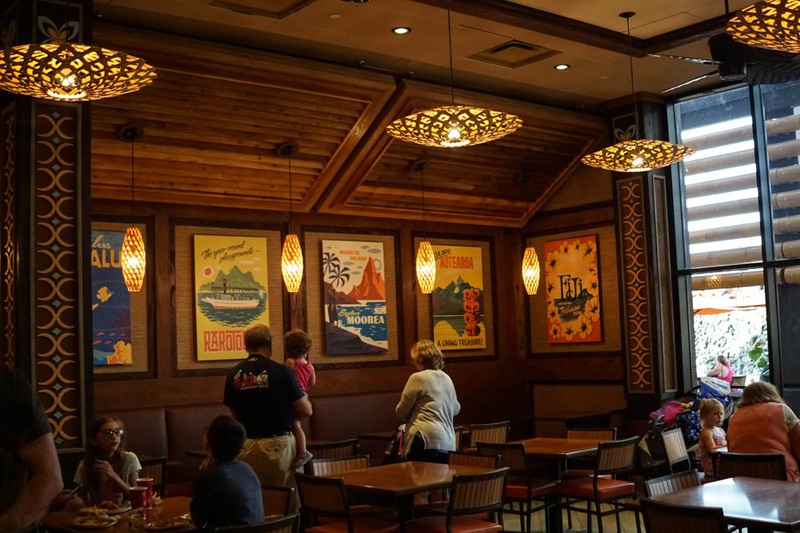 While the resort has certainly seen changes and expansion since then, its tropical theme and South Pacific flair have proven their timeless appeal – making this one of the most popular resorts at Walt Disney World for more than 40 years. Themed to reflect the style and culture of the South Pacific, the resort is divided into several ‘longhouses’ as well as the Great Ceremonial House, which serves as the resort's main reception area. 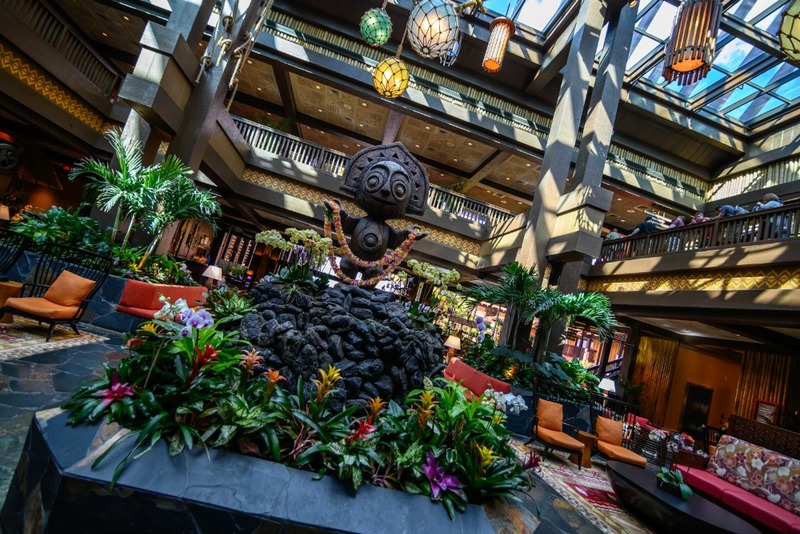 With a 3-story high atrium, a rich tropical color palette and a warm sense of hospitality, the Great Ceremonial House introduces guests to the Polynesian adventure that awaits them. 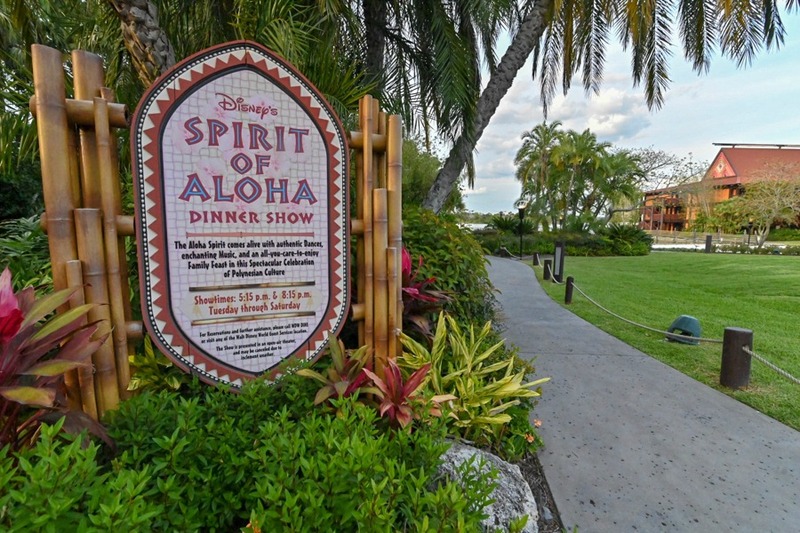 The theming continues throughout the grounds of the resort with white sand beaches, torch-lit walkways, lush landscaping, and waterfalls throughout. The resort's position on the shores of the Seven Seas lagoon gives it a prime location from which to view the nightly fireworks at the Magic Kingdom, as well as the Electrical Water Pageant. When dealing with 'themed' resorts, one measurement of success can be how well it carries its overall theme into its rooms – and on this scale the Polynesian is virtually unmatched. A soothing color scheme of sage and tan combine with textures of wood and stone to create a relaxing Polynesian ambience. Square Footage: 404 sq. 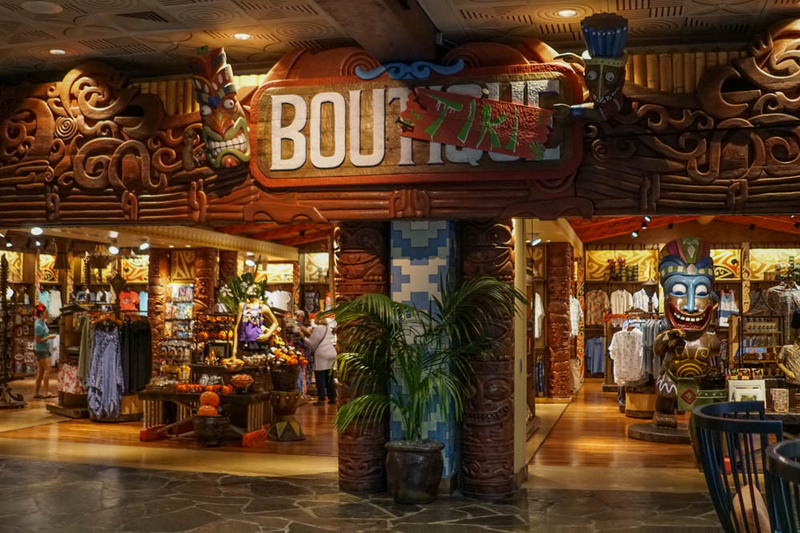 ft.
At Disney's Polynesian Village Resort, the Concierge Service is found in the Hawaii and Tonga longhouses. 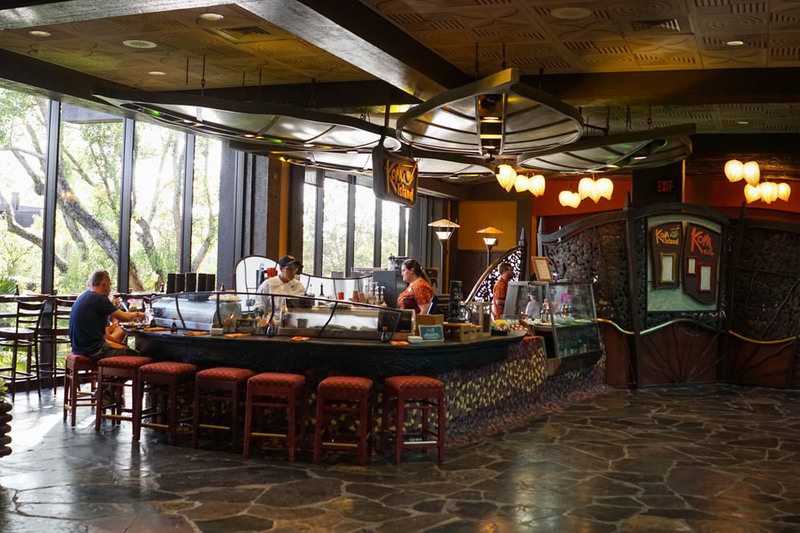 The main Concierge lounge is called the King Kamehameha Club and is located in the Hawaii building. There is also a club lounge for suite guests in the Tonga longhouse. The lounge is open from 7am-10pm daily. Coffee is available starting at 6:30am, with morning service (pastries, cereal, etc) from 7am-10:30am. Afternoon service is from 12:00pm to 4:00pm and includes a selection of snacks and soft drinks. Evening service is from 5pm to 7pm and includes hot and cold hors d'oeuvres, cheese, veggies, as well as a limited selection of wine and beer (available by request). The late evening service is from 8pm to 10pm and includes a selection of desserts and cordials (Amaretto, Franjelico, etc). Concierge guests can check in here and have refreshments upon arrival. Concierge service includes making your dining reservations, arranging for FastPass+, planning outings, ticket purchases, transportation arrangements, filling requests for special dining or accommodation needs, daily newspapers and use of the lounge. 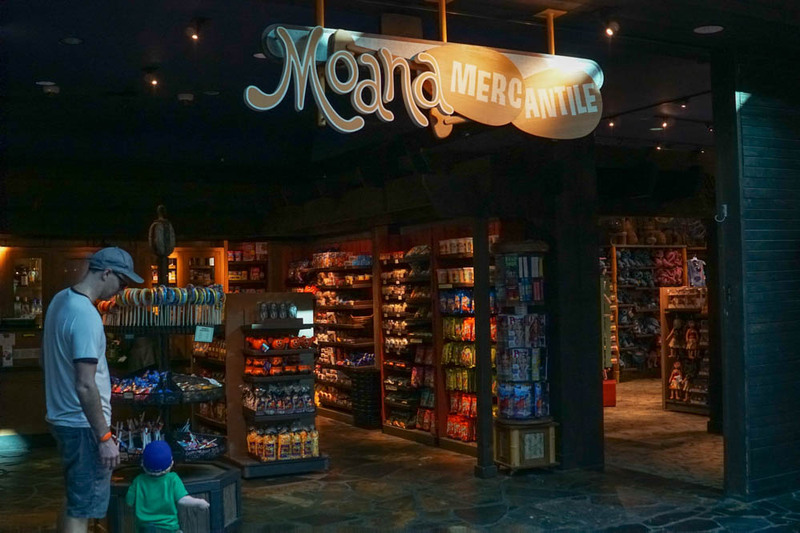 The concierge has even been known to secure an autographed picture or two of your favorite characters! The Tonga longhouse is home to the suites at Disney's Polynesian Village Resort. Most suites have a kitchen area and a sitting area. They also offer 2 queen size beds, or 1 king size, and possibly 2 Sico beds (that pull out from the wall). The bathrooms have lovely marble tubs. The furniture, in accordance with the South Seas theme, is bamboo and cane with stone table tops. Other benefits of staying in a suite include speaker telephones with a second line, bathrobes, an iron and ironing board, some special Polynesian stationery and a nightly turndown service. These amenities are also available in the standard concierge rooms. This suite has two bedrooms, 2 1/2 baths, with a parlor. This is a two floor suite, with the main living area on the first floor, and the two bedrooms on the second floor. The mini kitchen here includes a small refrigerator, ice maker, small microwave and sink. There are also standard connecting rooms availalbe that could make this a five bedroom suite. This suite has two bedrooms, 3 baths and a parlor area. Mini-kitchen includes a small refrigerator, ice maker, small microwave and sink. There are two suites in this category. This suite has two bedrooms, each with two queen beds, along with a day bed in the parlor. This suite also includes a wet bar and small refrigerator. This suite has one bedroom with two queen beds, and a day bed in the parlor. Barefoot Pool Bar: Open 1 p.m. - 8 p.m. Oasis Pool Bar Take a break from the heat and sun at this poolside retreat—featuring tasty favorites like fish tacos, kalua pork sliders, and Polynesian-themed burgers, along with tropical cocktails, wine, Hawaiian beer, and assorted beverages. TIP: The show cancels on evenings when the temperature falls below 50 degrees. TIP: For a real treat, try the Tonga Toast at breakfast. Thick slices of sourdough bread, stuffed with bananas, are dipped in egg, cooked till crisp and topped with sugar, cinnamon and a special passion fruit syrup. If you don't want to take the time for a sit-down breakfast, head down to Captain Cook's - you can also get Tonga Toast there! In-room dining is available 24-hours daily. From 11:30 a.m. to midnight, salads, hot sandwiches, appetizers and hamburgers are offered. 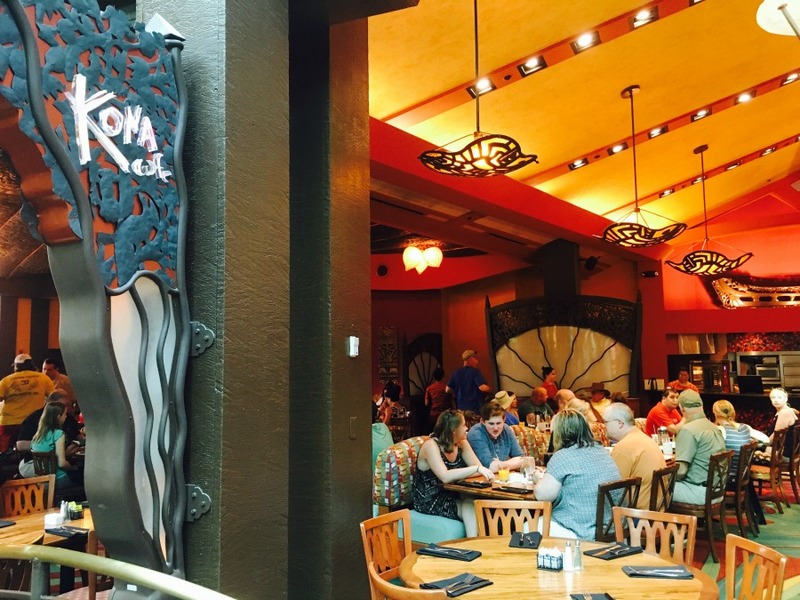 For dinner, from 5 p.m. to 10:30 p.m., appetizers, barbecued ribs, sweet and sour chicken dishes, shrimp and pasta, pork tenderloin, filet mignon, steak, and desserts are offered. To place an order, press "Dining Options" on your in-room phone. An 18% gratuity, $3.00 delivery charge and 6.5% sales tax will apply to all delivery orders. A minimum order may apply. TIP: For breakfast, fill out the card found in your room and hang on your doorknob before retiring for the night. Lava Pool area - the resort's largest pool features a waterslide in the volcano, a large infinity hot tub, an expansive pool deck and an interactive water play area for kids, the Kiki Tikis Splash Area. An additional quiet pool area is entirely separate from the Lava Pool area. It is nestled behind the Rarotonga and Niue longhouses. Pool towels are available in both locations. A number of poolside activities are scheduled each afternoon. Ranging from hula hoop games to arts and crafts, there is a broad spectrum of games and challenges for families to participate in while they enjoy the water area. Volleyball Courts: Located between the Hawaii and Tahiti buildings. Complimentary volleyballs may be checked out from Mikala Canoe Club Marina with your MagicBand or card. Outdoor Campfire and Movie: Each night there is a complimentary showing of a Disney film. 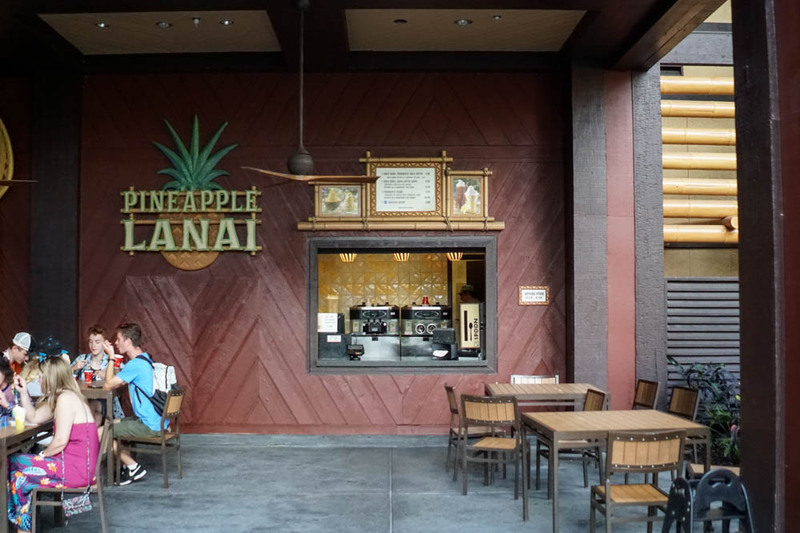 Located at the beach, the feature film changes daily (consult recreation calendar given upon guest check-in for time, location and particular movie). Guided Fishing Excursions: For a fee, an expert guide will host your group during a catch-and-release fishing trip in some of the lakes on Disney property. Available times are 7am, 10am, and 1:30pm. Reservations required (407) WDW-BASS or visit the Concierge desk. 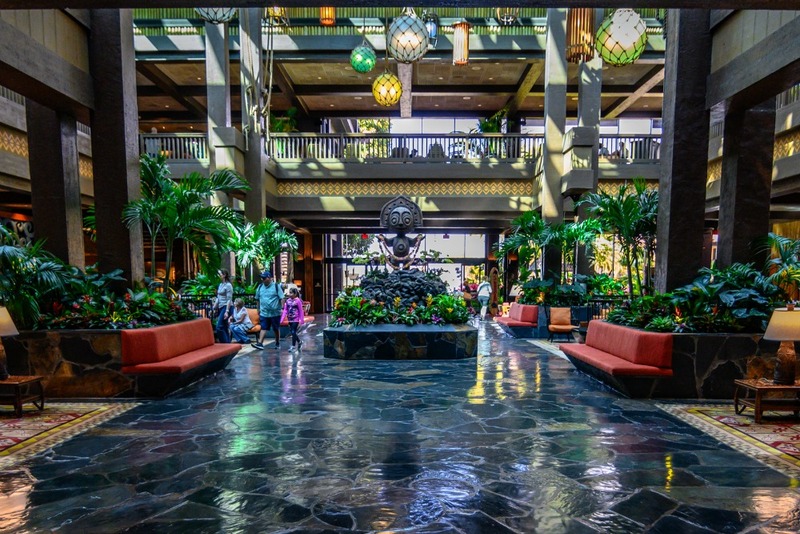 Celebrate Polynesian Culture: Free hula dance lessons are given in the resort lobby on designated days. Electrical Water Pageant: Viewing area located on the beach. Disney's Polynesian Village Resort does not have its own fitness center. Guests of the resort do have access to the fitness center at Disney's Grand Floridian Resort & Spa, which is a short walk away. Disney's Polynesian Village Resort is on the Monorail route and the station is located on the second floor of the great Ceremonial House. The Resort monorail stops at Disney's Grand Floridian Resort and Spa, Magic Kingdom Park, Disney's Contemporary Resort and the Transportation and Ticket Center as well. Note: The bus stop is located outside of the Great Ceremonial House with buses departing approximately every 20 minutes. The boat dock is near the beach with boats departing approximately every 20 minutes. The monorail station is located on the second floor of the Great Ceremonial House. Guests who drive either their own vehicle or a rental car to Walt Disney World should know that for hotel reservations made at this Resort March 21, 2018 and thereafter, a standard overnight self-parking fee of $24 per night will be applied to the guest hotel folio upon check-out.